The beautiful granite church, designed by C.L. 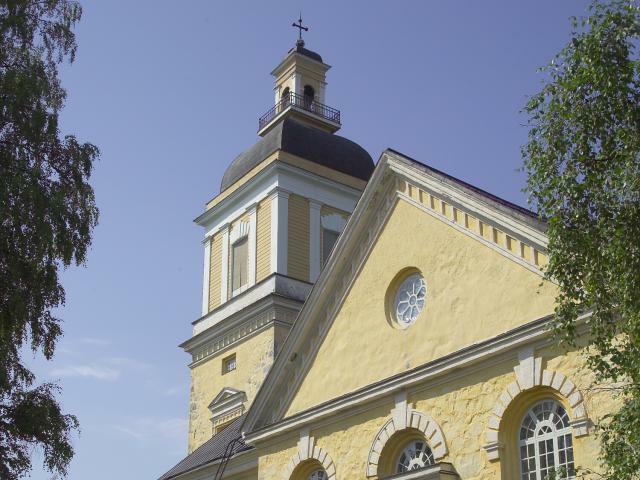 Engel and completed in 1846, is located in the middle of the parish village of Leppävirta. The light-filled church seats more than 2 000 people. The two-part altarpiece depicts Crucifixion and the Last Supper. Guided tours available in Finnish, German, Swedish and English on request. Advance booking required. Open: In summertime, 10 June – 10 August, the church is open to travellers as a ‘roadside church’ between 11.00–17.00. At other times by appointment.